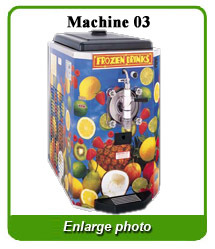 Entertain in style with BrincaBrinca Margaritas frozen drink machine! Quench your guests thirst the easy way and rent a machine for your next party. Forget the hassle of setting up the blender, buying the ice, and missing out on all of the fun while you're stuck in the kitchen making drinks for everyone. 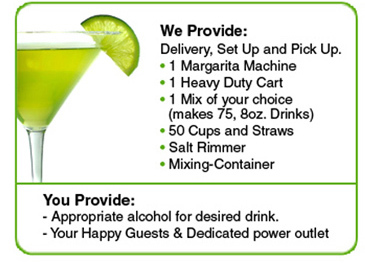 Have BrincaBrinca Margaritas bring a machine to your house and set you up in style. Guests will enjoy free flowing; great tasting drinks all night long and you can enjoy your guests too.